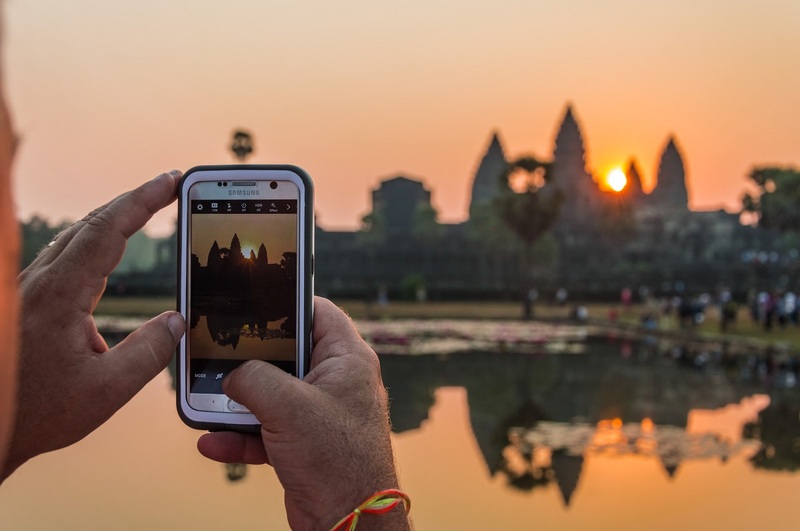 Before setting off on a vacation and switching all your devices off in order to unwind and focus on the ‘here and now’ (because that’s what you do, don’t you? ), take a look at the latest scientific studies revealing some of the secrets of traveling and feeling good. 1. Jet lag feels worse if you travel from west to east. Recent research has discovered why this happens. Our internal clock has a natural cycle of sleep/wake modes that’s slightly longer than 24 hours. Traveling from west to east makes the day shorter, while traveling from east to west makes the day longer and therefore easier for the brain to adapt to. 2. The human brain is designed to remember novelty, so if you want to remember your vacation for a long time, you should make sure to include a dramatic change of scenery somewhere in the middle. Like, stop sizzling on the beach and take a boat trip way out into the water, or head up to the mountains for a day. 4. Happiness thrives when you spend your money on experiences instead of objects. Experiences give you a reason to wait in anticipation and memories to reminisce upon after the event. Furthermore, experiences are usually short and sharp, meaning you don’t have enough time to adapt to what’s happening and normalize it in your mind, which is what happens when you buy an object. 5. Do you know what’s the best part of your trip? It’s actually not during your trip at all, but in the planning and preparation phase! A 2010 study discovered that going on vacation doesn’t necessarily make you happier (if you consider your experience ‘stressful’ or ‘neutral’, then your happiness levels after you’ve returned from a vacation will be the same as those of a person who hasn’t been away at all). The mere anticipation of the time off, however, results in higher levels of reported happiness. So, why not start planning right now! 6. If you are a nudist, you have a higher chance of being satisfied with your body and with your life as a whole, regardless of how successful or attractive others may perceive you to be. Would you consider this new opportunity to be happier? 7. If you wish you had the guts to parachute out of a plane or climb a sheer cliff, there’s one simple thing you should do: hang out with your most extreme friends more often. As it turns out, risk-taking is contagious. 8. Did you know there’s research revealing which languages are the happiest, i.e. contain the largest number of positive words? According to this measure, the happiest language is Spanish, with Portuguese, English, Indonesian and French rounding out the top five. 9. Working during your vacation is worse than you’d expect. A recent study has revealed that sifting through work emails on the beach results in you remembering less from your vacation. 10. There is a correlation between the type of vacation you choose and your personality. For example, introverts are more likely to choose a mountain vacation, while extroverts would opt for a seaside getaway. 11. Frequent flying leads to weight gain. The most at risk group are business travelers who board a plane more than 21 days per month. Love this! These facts are super interesting. I always thought that jet lags were worse going from West to East. The worst jet lag I’ve had is going from Germany to New Zealand. No matter how much I try I can never fight them. 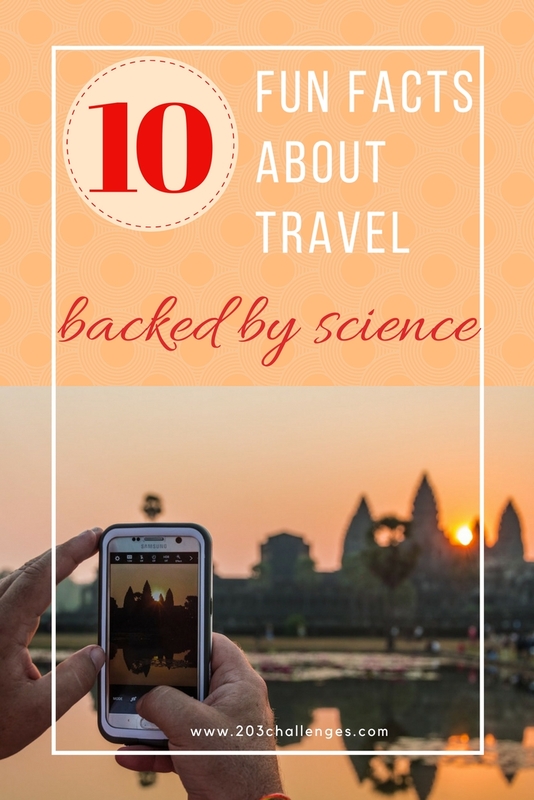 There are so many interesting things about travel and I am happy to read the scientific approaches. It makes me feel even better as a proud traveler! These are some very interesting facts! I have heard that the planning and anticipation of a trip is when you are happiest which is a good reason to not plan at the last minute. Super interesting about the happiest language. I’m glad English is in the top! These are really interesting facts and set me thinking. I do think we get more excitement and happiness in the process of planning a vacation than the actually vacation itself. The fact about jet lag being more when traveling west to east is also intriguing. Trips are always concerned with producing happiness and joy always at least I believe so but here but these 10 Fun facts would make my regular traveling interesting.